Zaber is proud to release its XYZ Series Three Axis Stages Series Overview: • 13 x 13 x 13 mm to 450 x 450 x 450 mm travel • Built-in controllers • Several units daisy-chain to a single serial port • Available in various speed / resolution options • Combine various Zaber stages to help you build a wide range of multi-axis systems from XY to XYZ Theta to Gantry Description: Zaber's XYZ series products are made up of 3 linear stages. They come packaged with all the accessories you will need to operate the linear slides in an XYZ configuration. The XYZ stages are powered by a standard power supply and connect to the RS-232 port of any computer. About Zaber: Zaber Technologies Inc. was founded in 1997 when precision motion control was typically accomplished with DC motors and encoders. In 2000 Zaber introduced the first daisy-chainable miniature linear actuator based on stepper motor technology with integrated RS232 communications and control electronics in one small package. Since then, Zaber has added over 120 products to its family of precision motion control and laboratory automation devices including linear actuators, linear slides, motorized x-y-z stages, rotation stages, motorized mirror mounts, and micro-stepping motor controllers. More information on Zaber is available at www.zaber.com. The SB series, new generation barrier, incorporates all the standard features necessary for your security applications. Its small size (28 x 30) allows it to fit perfectly into the mechanical dimension of the machine. The SB series is available in multiple sensitivities to protect the hand, arm and body. His dead zone, very small size, allows for assembly in U or L maintaining the sensitivity throughout the detection area. Its statics outputs, PNP 400mA, allow it to interface directly to relay or safety automaton. This series comes in 3 versions (standard, plus version, Master / Slave version) to adjust the security functions at the lowest cost. In all automated processes the use of sensors to provide information for the plc is of prime importance. Sensors supply the necessary signals on positions, end stops, levels or serve as pulse transmitters for counting jobs or for monitoring rotational speed. In industrial usage inductive and capacitive proximity switches are indispensable. As compared to mechanical switches they offer almost ideal conditions: non-contact, maintenance-free operation, high switching frequencies and switching accuracies as well as high protection against vibration, dust and humidity. Inductive sensors detect all metals without contact, capacitive sensors detect nearly all solid and liquid media such as metal, glass, wood, plastic, water, oil, etc... Both inductive and capacitive proximity switches are available in NAMUR versions. In conjunction with an NV0100/NV0200 amplifier the sensors can be used in zone 1 hazardous areas (the amplifier which contains Zener barriers as well as power supply and output must be mounted outside the hazardous area). The AirVac II Super is a totally integrated, compact and portable vacuum cleaner combined to an air blowing system. Both devices can be used at the same time. It includes as standard accessories: - a blowing gun with an extendable tube. - a flexible suction tube. - a cannulas set. - a brushes set. - extra dust bags. A wide range of accessories allow you to adapt the AirVac II Super to your specific needs. Skyjack’s Full-Size Series Rough Terrain Scissor Lifts deliver huge platforms, soaring work heights and heavy duty capacities— all in one package! A fuel efficient GM 1.6L Vortec dual fuel engine powers Skyjack’s robust axle based 4WD system resulting in 30% gradeability. Scania’s industrial engines are used in equipment for construction, agriculture, forestry, container handling and more. The engine range consists of a 9-litre 5-cylinder engine, a 12-litre engine 6-cylinder and 16-litre V8 engine. They cover a power range from 177kW (240 hp) to 432kW (588 hp). The AirVac II Super is a totally integrated, compact and portable vacuum cleaner combined to an air blowing system. Both devices can be used at the same time. It includes as standard accessories: - a blowing gun with an extendable tube. - a flexible suction tube. - a cannulas set. - a brushes set. - extra dust bags. Automated Casting Pouring Stations Automatic Pouring Basin Manipulator The automatic pouring basin manipulator, controlled and powered by the automatic ladler, completes the automation of the pouring operation by lifting the pouring basin from one flask, inverting the basin for blow-out, and setting the basin in place on the next flask. Features One (1) Automatic Ladler Pouring capacity to 200 pounds (91 kg.) of aluminum Radius of approximately 80 inches (2030 mm) Maximum 270 degree rotation capability Includes mechanical operating unit, hydraulic power unit, and electrical controls. Mechanical Operating Unit A heavy steel base plate supports the hydraulic rotary actuator and rotating superstructure. 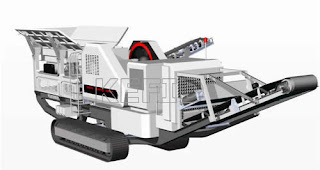 The rotating base carries the ladle support arms and the hydraulic cylinders, which raise the arms and tilt the ladle. Electronic position feedback and proportional control valves are used on all motions. All bearings used on the hot end of the ladle support arms are nitrided H-13 tool steel. Sheet steel shielding is used to guard all operating components at the base of the unit. Two fabricated steel ladle cups are included with the mechanical operating unit. Desarrollada por GMF-Gouda of Waddinxveen ha sufrido diseños e reingeniería de su antiguo diseño, mejorando su capacidad, mantención, uso. La nueva peladora y removedora en seco puede ser utilizada en el industria del procesamiento de papas y vegetales congelados, así como en la industria del enlatado, garantizando capacidades de proceso de 45 toneladas hora , las 24 horas del día. Se realizaron cambios en los ejes y cepillos para disminuir sus pesos .